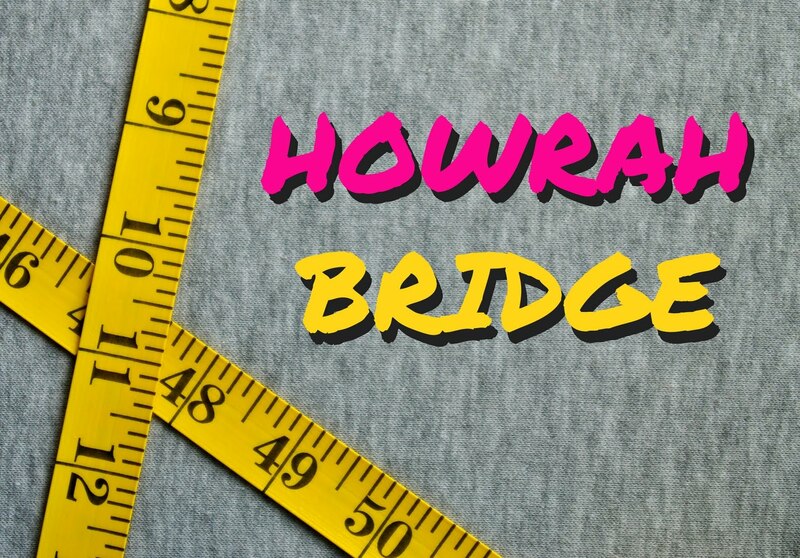 And it's not only about myself, I know you guys will read my posts just as you have read innumerable earlier ones, even though this one comes after a HUGE hiatus! Today, I bring to you, a wonderful event that I've been a part of recently. You'll see my FB & Twitter Timeline flooded with updates from the do and all the city bloggers who visited the event just can't seem to stop gushing about it!!! 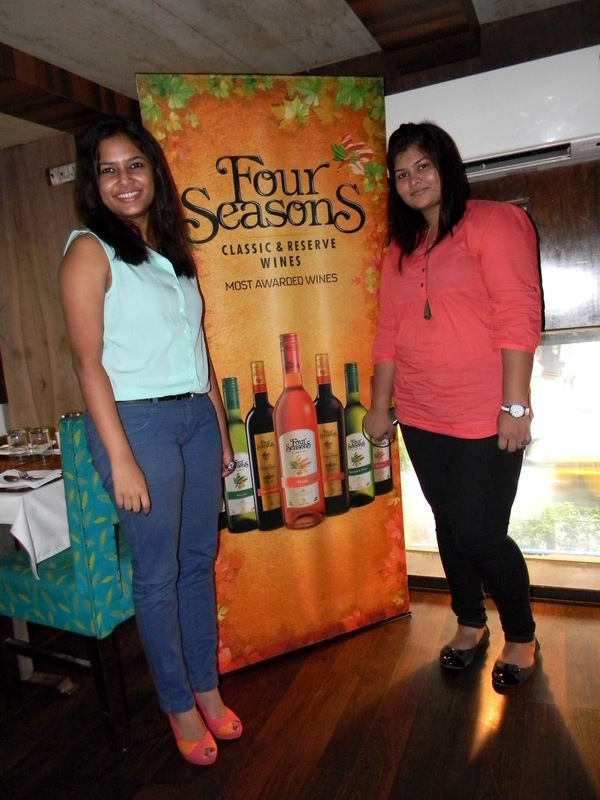 Four Seasons Wines hosted a perfect luncheon at Oasis Restaurant, Kolkata for us to get a taste of some of their award-winning wines, along with an enriching session about wine tasting & pairing with their brand ambassador, Miss India Earth & wine connoisseur Shamita Singha. Sayantani & Uparna pose pretty! 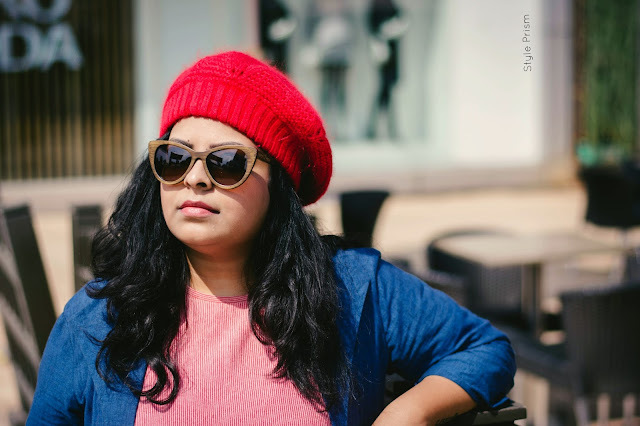 It was a now-overcast-now-drizzling-now-sunny Saturday afternoon that saw seven fashion & lifestyle bloggers from Kolkata strut into the swanky Oasis Restaurant on Park Street for the event. We all were as excited about the event as we were about meeting each other! Mr. Peter Mitter, the representative for Four Seasons and Mr. Pratap Darayani, the owner of Oasis, greeted us warmly & instantly made us feel at home. We were served platters of snacks as we waited for beauty queen Shamita to arrive there directly from the airport. The girls settled down to a promising lunch! 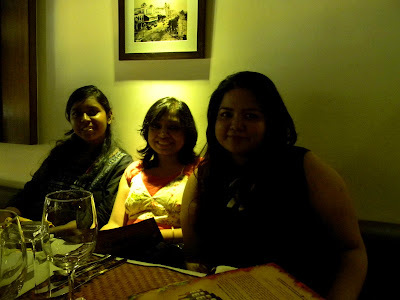 By the time Shamita arrived, all of us were in full-fledged picture clicking mode! 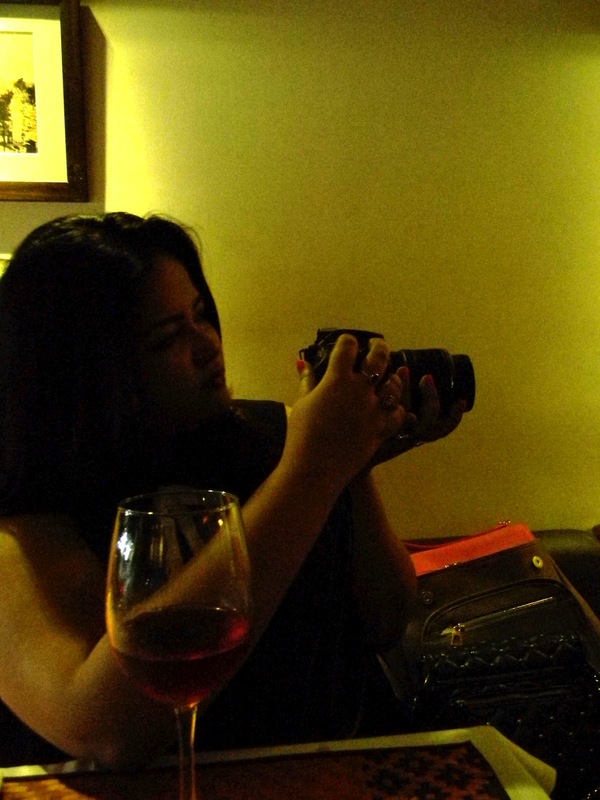 Everyone's cameras were OD-ing on the people, the wine glasses, the decor & the restaurant. As Shamita settled down & we went through a brief round of introduction, we were served the starters along with the first wine for the afternoon. 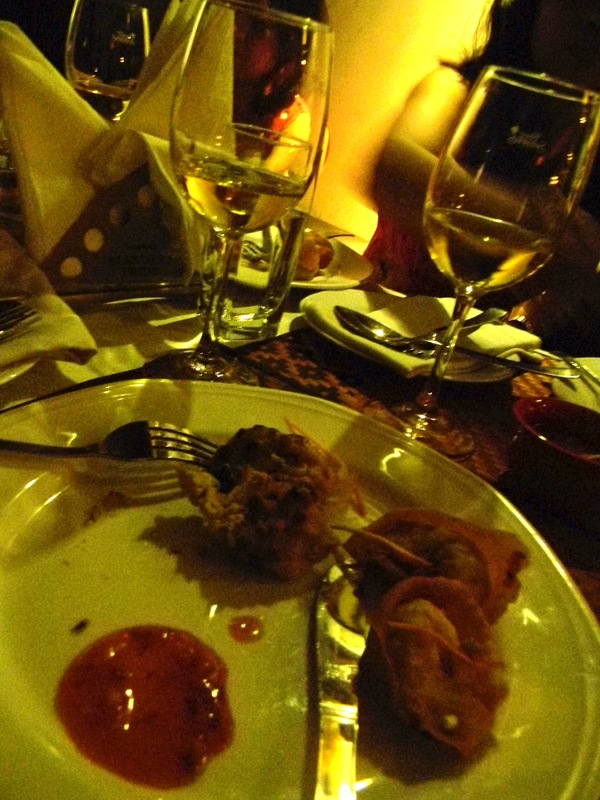 The Herb infused Chicken Reshmi Kebab & Veg Wantons were placed before us as the first bottle of white wine was opened and our glasses sparkled with the Four Seasons Chenin Blanc. 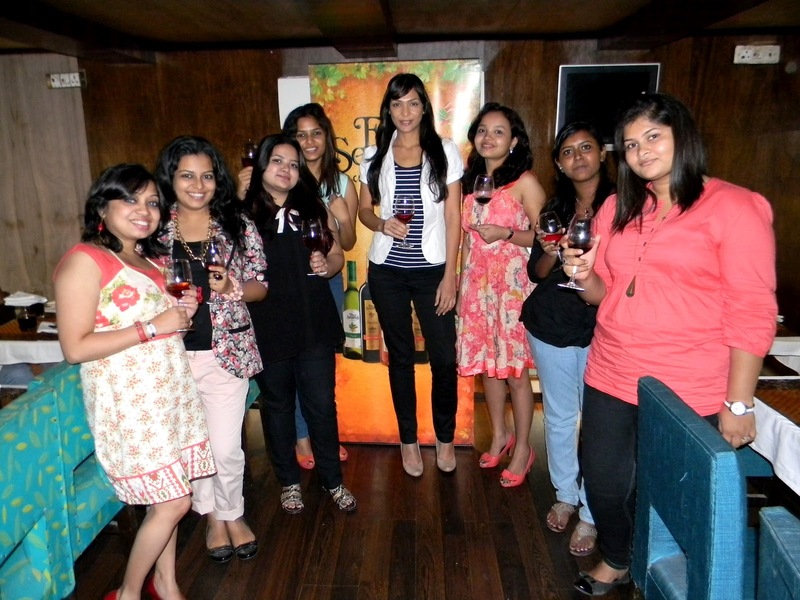 Shamita took us through the four 'S's of wine drinking - See, Swirl, Smell & Sip - and we had the first taste of the wine. Needless to say, the sweet, fruity aroma of the Chenin Blanc did it justice as the light liquid slid down my throat effortlessly, adding a distinct flavour to the taste of the starters. 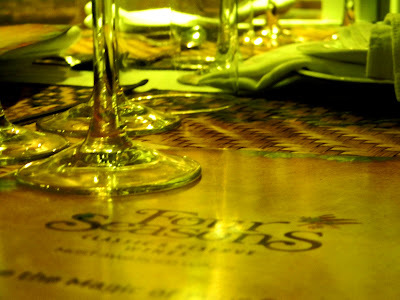 We got to know that the Chenin Blanc is suitable as an accompaniment to light food, like starters, salads, snacks etc. 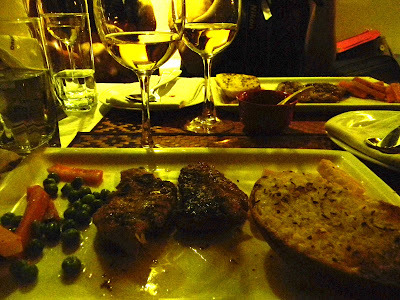 The main course consisted of Grilled Fish in Lemon Butter Sauce with Garlic Bread & French Fries. 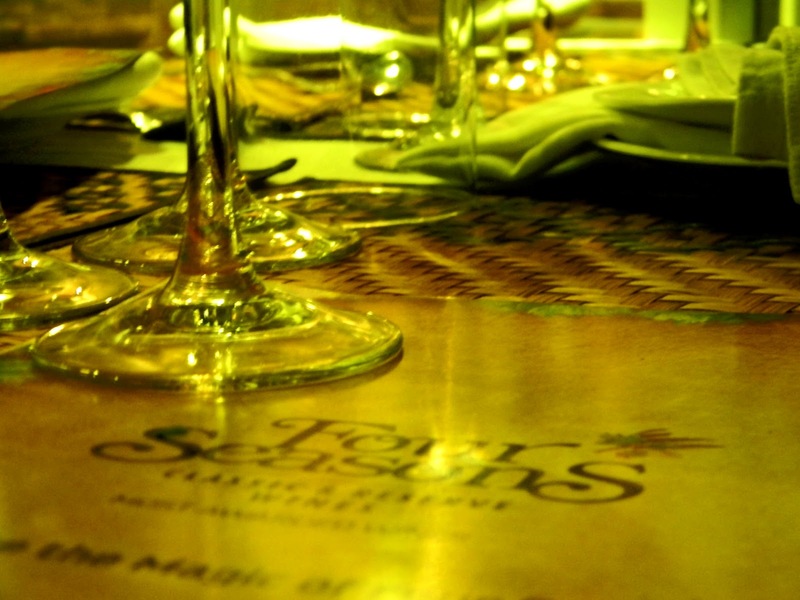 Accompanying the main course, was the Four Seasons Viognier, a slightly different variety of white wine. 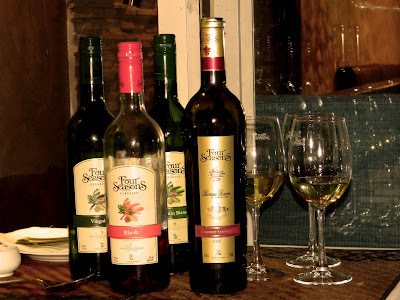 The Viognier smelled like a heady mix of wild berries, tropical flowers & a tinge of spice. The liquid was heavier this time and it had a longer finish to it. But, it was perfectly suited for the strong flavours of the Grilled Fish. As we learned, this medium wine is best paired with heavy food, such as Pastas, Risottos, grilled & charred dishes and even rice & curries. 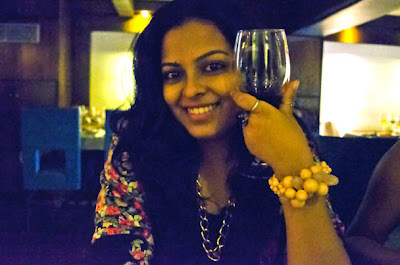 Posing with my glass of Red! Done with the whites, it was the turn of the first red wine of the afternoon to make its appearance. The Four Seasons Barrique Reserve Cabernet Sauvignon is a comparatively lighter variety of red wine that smelled like sweet spices, wild berries & woody fragrances all put together. 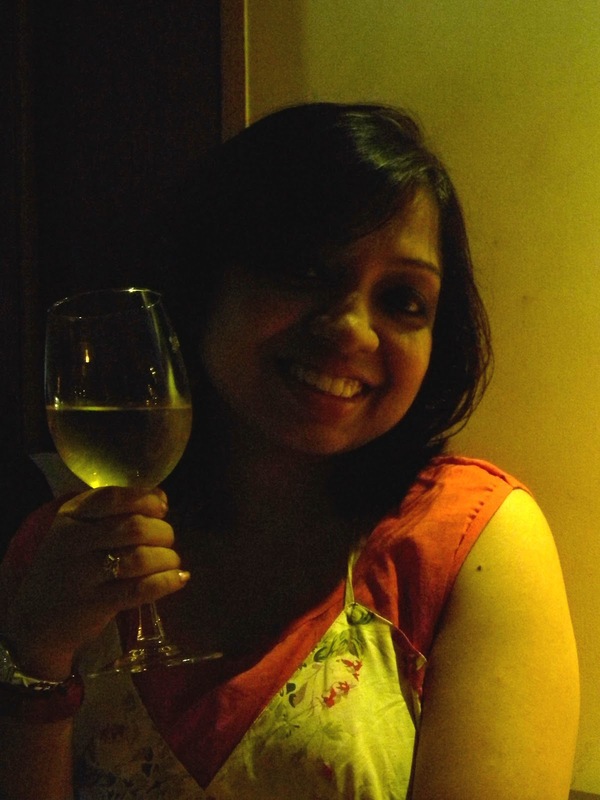 The thick liquid flowed around in my mouth with a tangy feel & left a lingering after-taste. 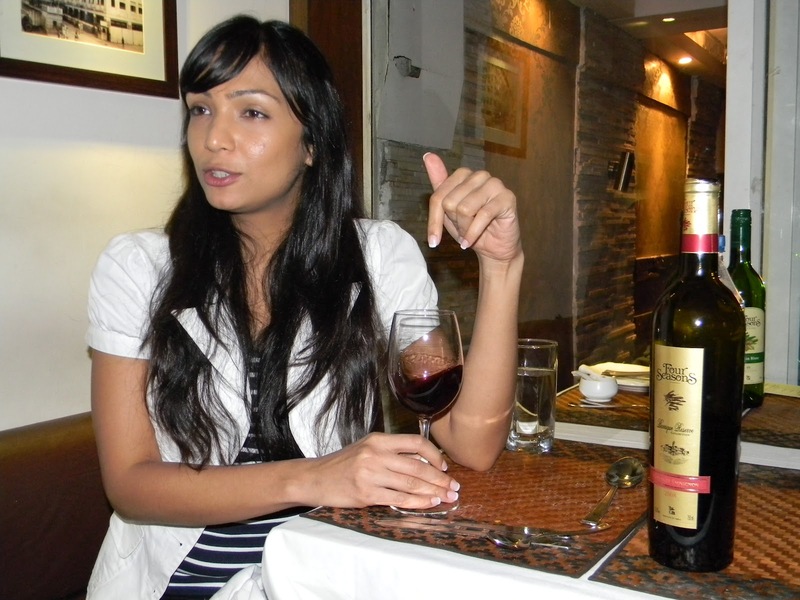 This dark red, dry wine should rightly be paired with heavy dishes, such as sizzlers, spicy food, Indian & Moghlai cuisine & such. Debi was the official photographer of the day, going "Click! Click!" at every possible opportunity! 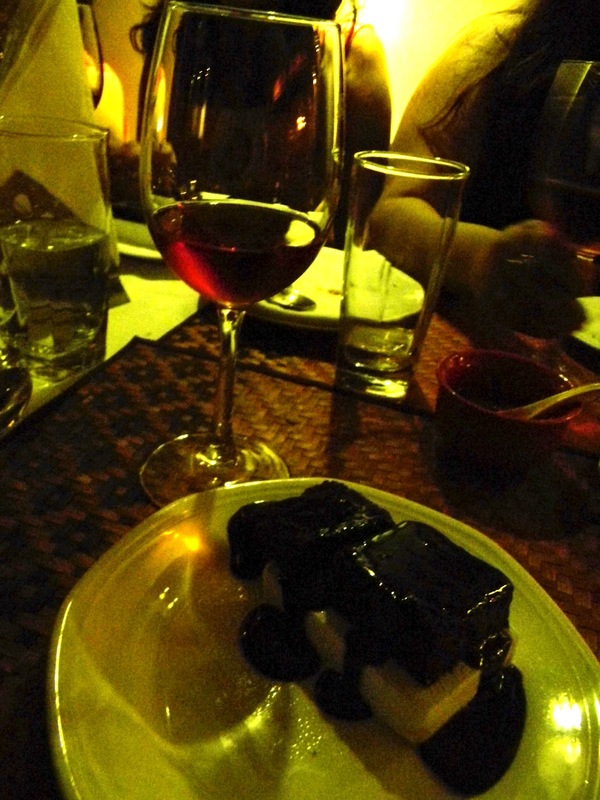 The amazing lunch was rounded off with the last wine which was the Four Seasons Blush Wine, followed by Vanilla Ice Cream with Chocolate Brownie & Chocolate Sauce. The Blush wine or Rose wine was a beautiful shade of dark pink and had a sweet, fruity, yet spicy aroma. Personally, it was my favourite wine of the afternoon. The sweet tangy zing of the smooth liquid fulfilled all my senses as the wonderful afternoon drew to a close. 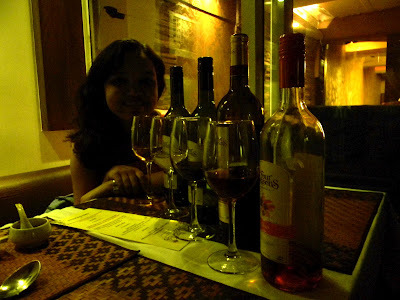 Four amazing wines - one awesome afternoon!!! Shayoni poses with the four heroes of the afternoon! 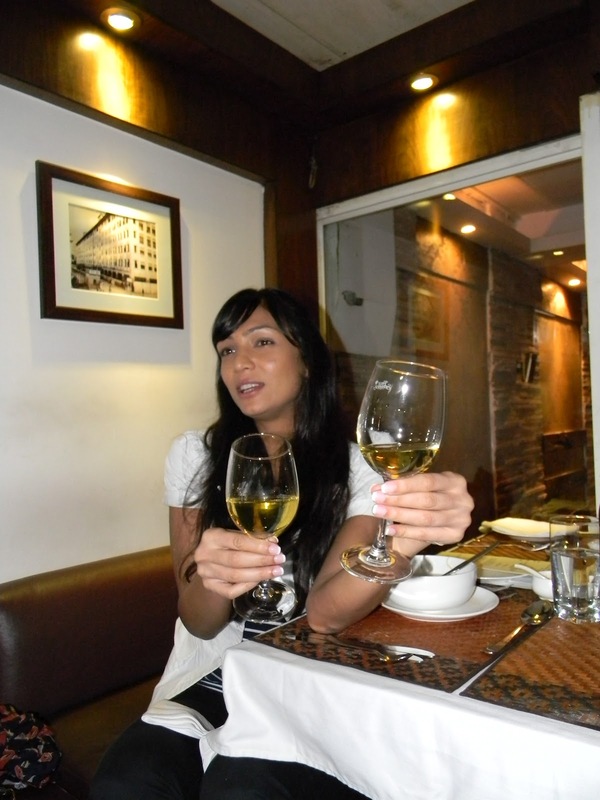 Shamita Singha, beauty queen & wine connoisseur, for making the whole experience more knowledgeable & enriching. She shared some really interesting tips & facts about wine and let us all in on the ways of drinking wine & their proper pairing with food. The outfit post for what I wore on the day will be up soon! Stay tuned!!! Welcome back to the blogosphere, Anupriya! I hope everything is going well with you in all that you do. Keep working hard at all things near and dear to you. This had to be a very joyous occasion for you. Take care and have a lovely day! welcome back to blogosphere!nice post..i had a good time that day.. Such a nice post Anu! 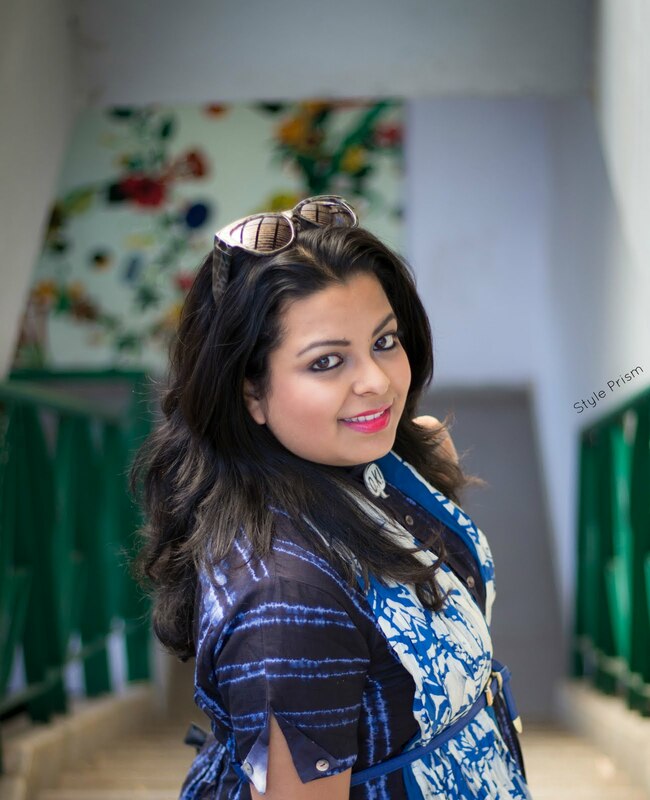 hey lady, just hopped on to your blog and glad i did :) looks like u guys had a superr fun at this event, loved the detailed desc and pics..wud love to be a part of such blogger events. This sounds like an absolutely wonderful afternoon! Blogger events are always so much fun, but the addition of delicious food and good we doesn't hurt, either ;) I don't know anything about wine really, other than that I enjoy it! You look absolutely gorgeous posing with your glass of red :) Hope you're well, my dear! wow seems like an amazing evening! the food looks sooo great! 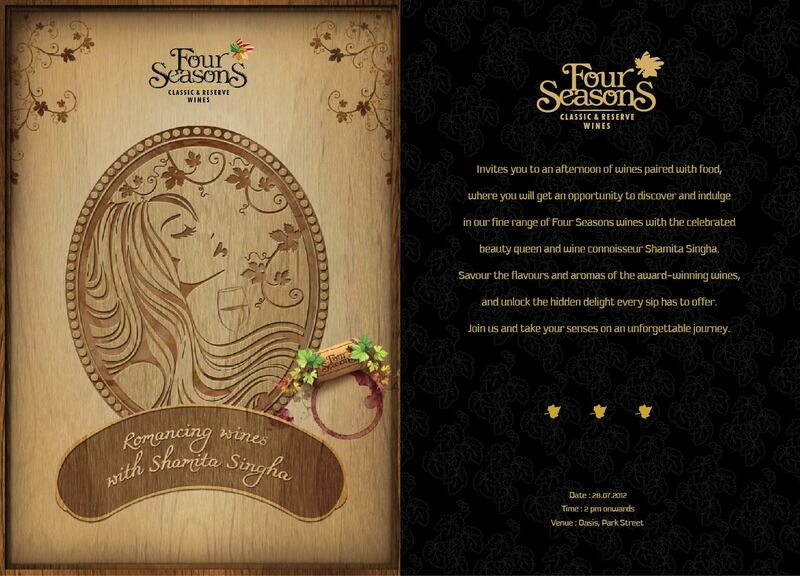 This surely seems like an evening well spent! All that mouth and such perfect wine...I am having the gush plus jealous feeling :P There are no blogger events for bloggers in Chandigarh...:( Anyone listening?? ?